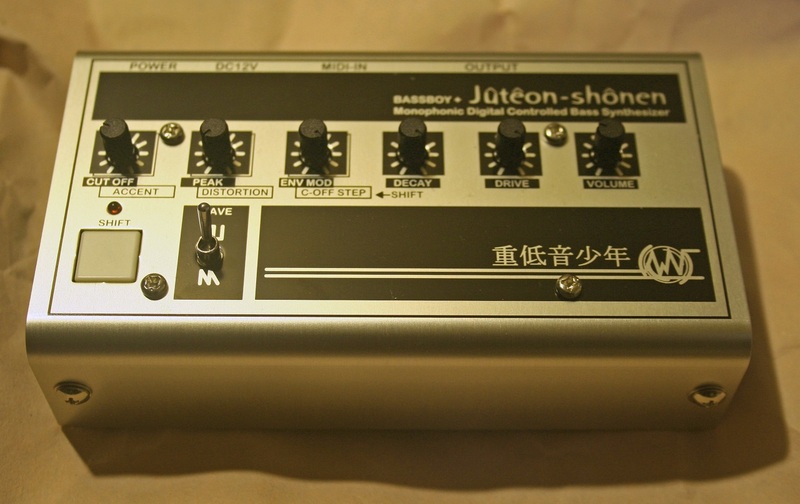 “BassBoy+” is digital based monophonic MIDI controlled bass synthesizer. “BassBoy+” has also nick name. it’s “Juteion-shonen”. It’s written in Kanji character also beside of our logo at the right under corner of the panel. Call it as your favor. “BassBoy+” has one board bass synthesizer inside. My friend who is living in Beograd of Serbia had developed it. There was no knobs. All the parameter is drove from MIDI data stream. I develop its physical controller and put it together into a original enclosure. it’s “BassBoy+” Original functions that BassBoy have can still alive on BassBoy+. Visit there for more information about BassBoy. Get MIDI stream from PC, iPad, iPhone or iPod-Touch based sequencer and put it into “BassBoy+”. Knobs are waiting to be tweaked. You can also play it by MIDI keyboard too. The goal of this gadget is to feel the knobs. Tweaking may be change the sound. All the parameter that BassBoy has can fumble with yout fingers. You can do it just like playing musical keyboards. Feel sounds and beats with your fingers. Be physical, like an animal! “BassBoy” is Trademark of MikroElectronika. And beatnic.jp gets permission to re-sale of “BassBoy” from MikroElectronika. MR. YOΞ(Yokushe) who is one of customers of BassBoy+ compose and perform great tune. 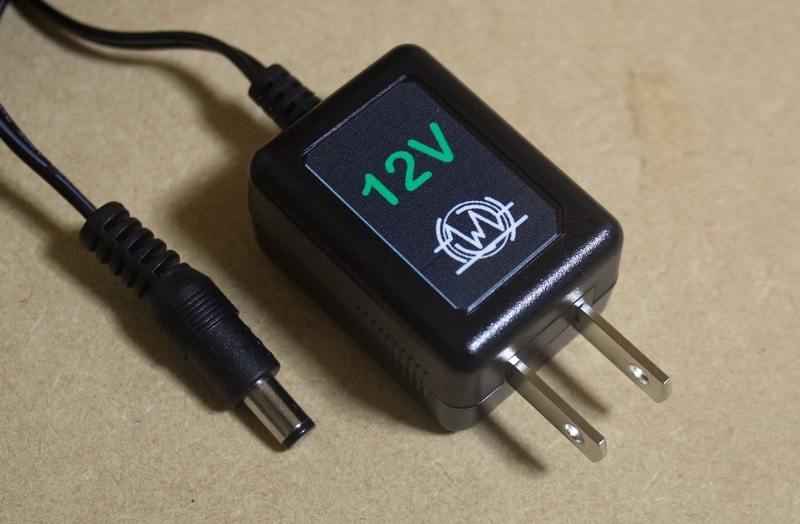 Input:100-240V / Output 12V 0.5A. It’s match for BassBoy+, Mountain and more. 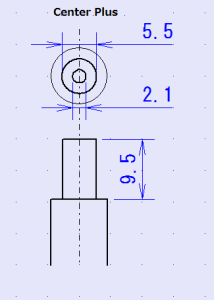 Center pin is Plus 12V. Outside is grand.